11th of November 2016 – The Scottish Civic Trust is calling for nominations from local civic trusts, amenity societies, community councils and other heritage or community groups around Scotland for new buildings, restoration projects, landscape designs and other placemaking projects for the annual My Place Awards. The trust is also looking for nominations for a winner of the My Place Civic Champion award. The 2017 Awards, supported by the Scottish Government, are a national celebration of good local design and conservation projects and of people who make a significant contribution to the civic movement. The awards are unique in that they are nominated by local communities and people. The centre was developed to spearhead sustainable development on the island. It opened in the summer of 2015 and has quickly become established as a focal point for community life. The centre is a sustainable and inspiring example of community-led regeneration on a small island. 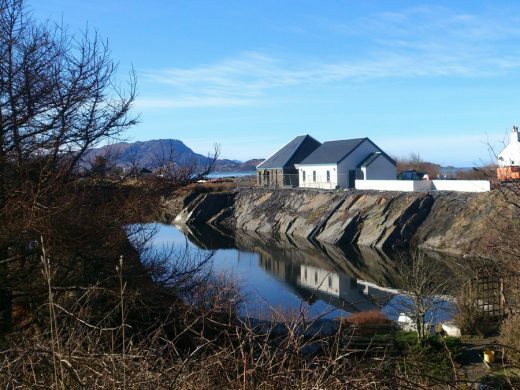 It has greatly improved the quality of life on the island of Luing and made it a more attractive place to live, work and visit. Louis Wall, nominated by South West Railway Adopters Gardening Group, won the Civic Champion award. Six years ago Louis noticed his local station, Stranraer, was lacking in colour and life so, with approval, he set about transforming it with imaginative and colourful plants. 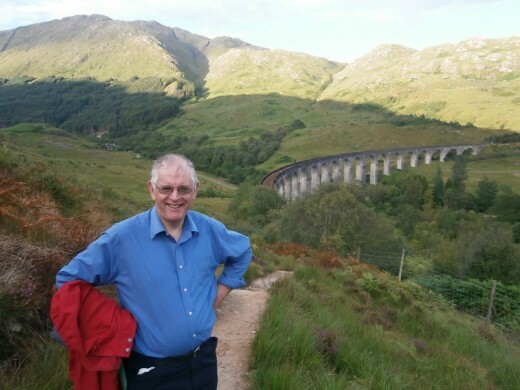 Since then, he has achieved plantings at 20 stations in the South West of Scotland with the involvement and support of many volunteers, local groups, communities and schools. He works long days to achieve his objectives: making the stations of South West Scotland bloom with vibrant colour. Ian Gilzean, Scottish Government Chief Architect said: “The My Place Awards demonstrate the way in which well-considered buildings, places and activities can make an immense difference to life within communities. These projects provide far more than physical facilities, they are conduits for social interaction and they help to build the kind of connections that strengthen communities. They show the importance of approaches to place which consider people first. The project facilitated the major refurbishment of the former Bridgeton Public Library in the heart of the East End, an area of multiple deprivation that has suffered decades of neglect and industrial decline. The library makes a significant contribution to local cultural and architectural heritage at the heart of the East End and is both sensitive to the original building and confident in its new design. The new library is significant on both a local and national level. Locally, it has breathed new life into the old public library with a bold but sensitive design that has drawn its vision from the area’s community with a sense of responsibility and respect. Nationally, it celebrates the lives, histories and achievements of Scotland’s women through the ages. The library is welcoming, accessible and open to all, men and women. The library’s facilities and rich programme of activities are multi-faceted and it has become much more than simply a place of books; it is a vibrant and supportive place which has become a focal point in the lives of many in the community. We strongly recommend a visit. The gallery at Scotland’s Jute Museum @ Verdant Works is an exciting and ambitious £2.75 million project which has completed the restoration of the category A-listed Verdant Works site, securing a sustainable future for this nationally important complex. The development has almost doubled the size of the existing museum, transforming the oldest part of the building, the High Mill of 1833, into a stunning cathedral-like gallery and learning space. The High Mill Open Gallery addition to the Verdant Works museum is an important element in the transformation of a challenging area in Dundee which has suffered from the loss of traditional industries. The spacious new gallery is functional, adaptable and very impressive in its scale and open design, filled with information and echoes of Dundee’s once proud and vibrant jute-making past. The main aims of the project were to restore and conserve the historic Argyll Mausoleum and artefacts and to open it to the public in a fitting and sensitive manner. All the input has been from a small team of dedicated volunteers who not only manage the project but welcome visitors, carry out fundraising and organise community events. It is a great example of community-led regeneration and restoration. With a modest budget, the trust and its volunteers have beautifully restored this important historic building and its associated artefacts, making them more accessible as well as raising the profile of the wonderful, atmospheric location. The work has been carried out with great care and attention to detail and we were particularly enchanted with the tiny but beautiful visitor centre. The volunteers have successfully put this architectural jewel back on the map and their work is to be commended. The Humbie Hub is the central focus for the village of Humbie community and has met with resounding success. The shop and post office have been transformed beyond recognition and new accommodation has been created for local businesses one of which provides high speed broadband for the community. In a short time, the Hub has become a favoured venue for outings for coffee or a light lunch, drawing visitors from all over the county. Facing many challenges, the owners have, with the full support and involvement of the community from this small rural settlement in East Lothian, created a new, vibrant and attractive facility for both residents and visitors to enjoy local produce, beautiful scenery and a warm and welcoming presence. The Hub has brought people together in new and unexpected ways and offers a template to inspire other rural communities. The estate is a fantastic example of successful heritage-led regeneration in Scotland extending across architecture, interiors, collections, landscape, education/training and activities. The project uses heritage as a vehicle in a bold and vigorous campaign to change things for a depressed local community with high levels of unemployment. Tourists and local visitors enjoy the landscape free of charge while other facilities generate profit to make the estate sustainable in the long term. We were very keen to recognise the national significance of this superb and ongoing restoration project. The quality throughout is extraordinarily high, from conservation of furniture and artefacts to the restoration and reconstruction of buildings, monuments and gardens. The intervention of His Royal Highness, The Prince Charles, Duke of Rothesay has been key to the stunning transformation of the house and estate which have been saved for the nation. CALL FOR COMMUNITY GROUPS TO NOMINATE FAVOURITE NEW BUILDINGS, CONSERVATION PROJECTS AND PEOPLE IN ANNUAL SCOTTISH CIVIC TRUST MY PLACE AWARDS. The Scottish Civic Trust is calling for nomination from community groups around Scotland for new buildings, restoration projects, landscape designs and other placemaking projects for the annual My Place Awards. The Trust is also looking for suggestions for winners of the My Place Civic Champion awards. The 2016 Awards, supported by the Scottish Government, are a national celebration of good local design and conservation projects and of people who make a significant contribution to the civic movement. The awards are unique in that they are nominated by local communities and people.